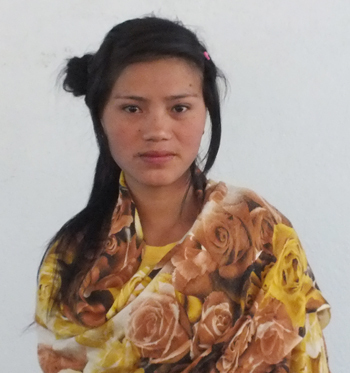 Kumari Gurung, aged 19, is currently receiving vocational training as tailor. She is sponsored by Suzanne Angela Dicker of New Jersey. We are very grateful towards Suzanne for her kind support. 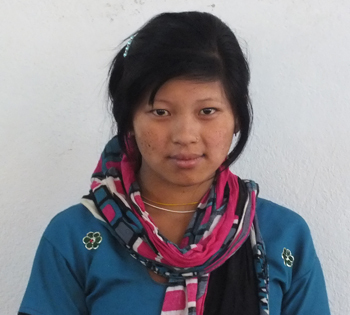 Kumari is currently receiving training and is learning whole-heartedly. She is enrolled in a school at grade 8 in Kathmandu because she wants to continue her education. She had stopped her education two years ago due to weak financial condition of her family. But now, she has got the self confidence that she can go to school and be educated as well as receive tailoring training. 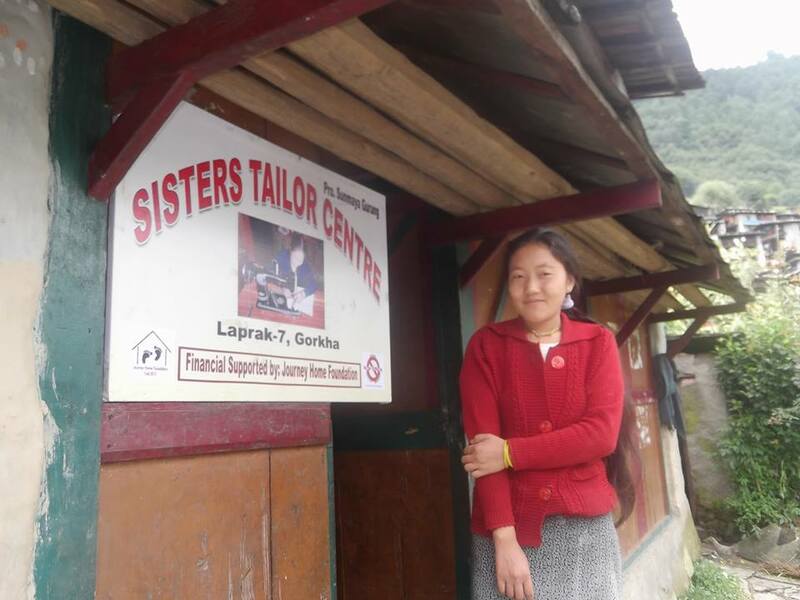 And from our orientation and suggestions she now knows that education along with tailoring is a great combination. If she receives only training, then she will only be able to do simple tailoring… but if she is educated as well, she can make her own designs and present them to the world. Sunisha Ghale is a precious young woman. She had big dreams for herself. She had seen the pictures in magazines and the television images of bejeweled woman dressed in flowing materials enjoying abundant surroundings and bountiful meals. It is hard for JHF to compete with the exciting lifestyles that the human traffickers are selling. They sell their wares not only to the families, but they seduce the young girls themselves. They prey on their hopes and promise them glorious futures of love and happiness, and soon girls like Sunisha quit school and willingly agree to follow their new-found mentors. 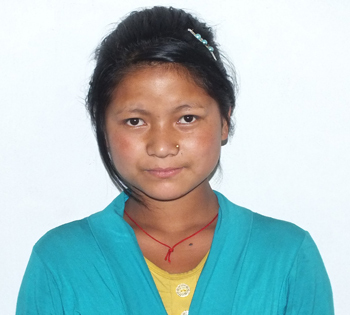 JHF counseled Sunisha and the Foundation leadership was relieved to be able to convince Sunisha that she would make a better choice for herself to stay at home and to learn a skill. Sunisha’s parents were relieved as well. Now Sunisha studies next to Som Maya and Sima in the sewing school. 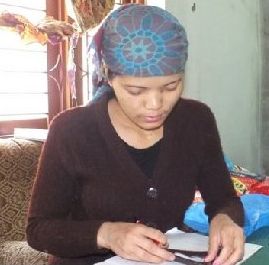 Sunisha has a natural talent for sewing and weaving. She will do well when she graduates in the fall of 2014. More than developing a natural talent, and securing a stable future for herself and her family, Sunisha has found a new identity and pride in herself. No longer does she need to find meaning or identity in imagined riches or external treasures – for she has found a treasure within herself. That discovery shows in her countenance, and is shared by the relief and pride of her parents. Xani, 19, the eldest of four daughters, bears the lion’s share of the responsibility for supporting her parents and siblings. Her father knew that eventually he would need to marry off his daughters to make sure that they were taken off his hands and that he would have enough financial benefit to be financially stable in his older years. 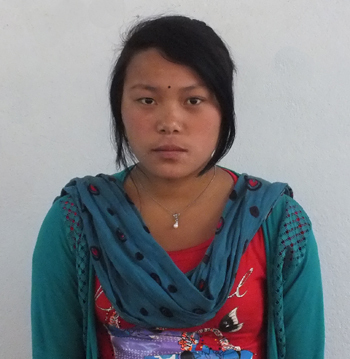 He had already made arrangements with a trafficker when, like Sima’s father, Mr. Gurung heard of JHF. He learned of the free training that his daughter could pursue. Mr. Gurung cancelled his trade arrangements and now Xani is enrolled in the sewing school. Fortunately, these stories have happy endings, but there are many more that remain to be told. JHF is becoming known in Kathmandu and surrounding villages as a way out of the sadness that many families face, believing their only choice is to trade away their daughters. JHF needs your help to continue its outreach, and then to be ready and able to enroll the girls and support their training programs and their living expenses. Please help us say yes to the next Xani, Sima, Sunisha, Som Maya, or Indra Maya. These girls are thriving and will be pleased to share their good fortune with others. Sima, age 18, wanted to study. She was not interested in the empty pipe dreams of a better life in a faraway country. Her father worked as a caravan driver, so she knew the stories of girls who were taken in these caravans, and she had heard about what they discovered once they reached their foreign destinations. She wanted to study and take a job like other women she had seen in the city. However, Sima was not a strong academic performer. Sima had to stop her studies. And now with a poor family she too was facing limited options. Her father spoke with JHF to ask if his daughter might live at JHF and attend the course for tailors. Her father, like many in the poorest areas of Kathmandu had heard that JHF offers training to girls and helps them to reach a goal of self-sufficiency and financial security. 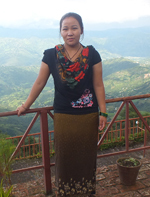 JHF accepted Sima as a new student in April 2014, and she is becoming quite a creative young woman! Congratulations Sima. 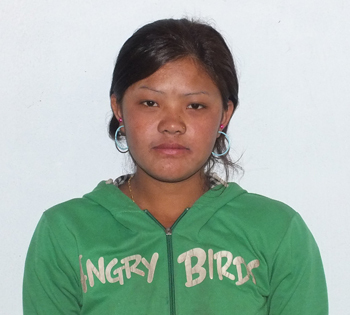 We met Indra Maya Ghale in Gorkha where she had gone to get a passport to find work in the middle east. She had been living with various relatives since her grandmother passed away two years ago and was sent to find work abroad and support herself. Soon Indra Maya would be forced to accept the advances of the human traffickers and choose to go with one that was offering her a ‘fresh start’ with a ‘handsome Arab husband or perhaps work with a wealthy family. Indra Maya Ghale had mis-directed hopes and visions of herself as a wealthy Arab wife living in one of the gulf oil states and having a family. A family is what Indra Maya dreams of. She has known only hardship since she was a young child of four. It was that year that her mother left. Still Maya Gale does not know where she went or what happened to her but she holds onto finding that warmth again – from a mother she only remembers as a ‘smiling face with soft hands’ who ‘ smelled like the sky.’ Soon after her mother left, Indra Maya’s father took a new wife. The new woman of the house did not take to Indra Maya. Her new stepmother put Indra Maya to work as a baby-sitter for her own toddler and as the cook and cleaner for the household. Indra Maya kept hoping that her new ‘mother’ would come to love her too. But when she could no longer take the beatings and abuse, she escaped to the home of her grandmother in the nearby village. Her grandmother loved Indra Maya. And for several years, the two of them filled each other’s loneliness and shared a happy home together. When her grandmother died, Indra Maya had no other options but to seek refuge in the children’s shelter. Not all the girls come from such a desperate situation as did Indra Maya Ghale . Fortunately Indra shared her experience with Som Maya, age 17, and encouraged her to join her at the Journey Home shelter and school in Kathmandu. 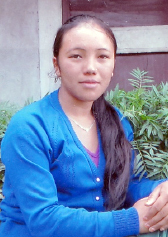 Som Maya now looks forward to returning to her village as a Tailor and hopes to open her own shop. Som Maya’s family had very different plans for her. As the oldest of several children in a farming family, Som Maya raised her brothers and sisters while her parents worked in the field. Now that the younger children are old enough to help at home and to do some work in the fields, Som Maya can bring more use to her family through a foreign marriage or employment. Women are expected to marry as they approach their later teen years. If a family is lucky enough to marry her to a foreign suitor from one of the wealthy Arab nations, then they will be financially compensated, and may even receive gifts later from their married daughter. JHF was called to intervene by Indra Maya when Som Maya visited the govermenet offices to obtain a passport for a journey abroad. JHF volunteers spoke to Som Maya about the alternatives that the Foundation offers. Som Maya soon joined the school. Families prefer to keep their daughters close, and they have heard the rumors of the international traffickers – but facing the daily struggles of poverty, the members of the poorer castes convince themselves that their daughters will be better off if they agree to go abroad. JHF offers another solution. 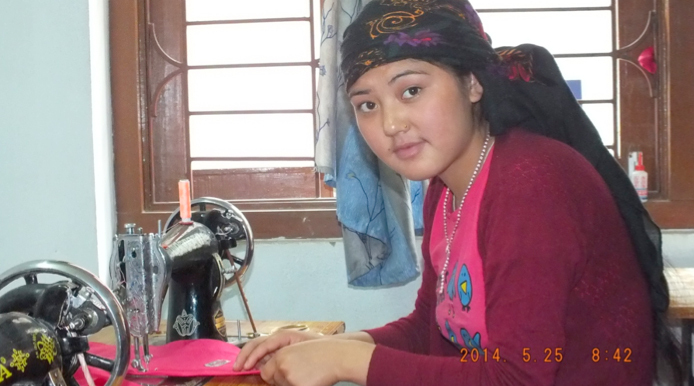 BIMALA GURUNG is 19 years old, and is now at the shelter and attends the sewing class. There are six members in her family. Three sisters and her parents live together, and she is the eldest among the children. Being the eldest daughter, she has to look after the household works and the financial matters of her family because her parents are over the age of 65. She never got the chance to go to school, although she wished to go because of the weak economic status of her family.